I don’t believe this nonsense will stop until We the People march on Washington and make it stop. President Trump must feel that we have abandoned him. He is being attacked on all sides and there seems to be no outrage from Main Street America. Even members of his own party in Congress have abandoned the President, something for which I hope they pay dearly come reelection time. 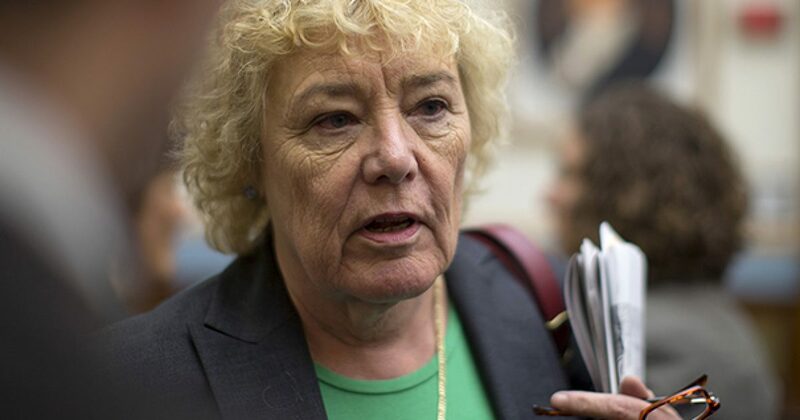 Looking like she just walked off the set of One Flew Over The Cuckoo’s Nest, Representative Zoe Lofgren (D-CA) is demanding that President Trump be FORCED to undergo a mental evaluation to determine if he is nuts and, per the 25th Amendment, removed from office. Lofgren is calling on Vice-President Pence and the Cabinet to force the mental evaluation on the president, which I presume means having him arrested, forced into a straightjacket, and “evaluated” by a team of Democrats shrinks. Sure, sounds reasonable to me. Lofgren, a typical California liberal whackadoodle (H/T Renee H), is questioning whether President Trump may have dementia or whether the “stress of office aggravated a mental illness crippling impulse control,” reports The Washington Times. “Is the president mentally and emotionally stable?” she wondered in a press release issued by her office. Ms. Lofgren’s move is the latest broadside against Mr. Trump in the wake of his handling of last weekend’s clash between neo-Nazis and counter-protesters. In the aftermath, a man who was seen taking part in the white supremacists’ rally smashed into a crowd of counter-protesters, killing one woman and injuring 19 others, police said. Mr. Trump has struggled to unite the county in the days since, condemning racists, but also saying there was blame among both the white nationalists and counter-protesters. Mr. Trump also said there were “fine” people on both sides. Democrats, civil rights groups and many Republicans were outraged, accusing the president of justifying the behavior of neo-Nazis and equating them with the counter-protests. House Minority Leader Nancy Pelosi has backed an effort to censure Mr. Trump in Congress, while the push for impeachment also added new backers. Ms. Lofgren’s amendment, though, would make use of another part of the Constitution. The 25th Amendment says that when the vice president and a majority of the Cabinet sign onto a declaration that the president is “unable to discharge the powers and duties of his office,” the president is suspended and the vice president takes over. The president can cancel that by his own letter saying he is fit, but if the vice president and Cabinet disagree Congress must rule.